I am back! I have been very busy lately with school and all, but I am excited to return to blogging with some new details on some of the best books of last year and this year, so stay tuned! Me: Tell me a little bit about yourself? What are your likes/ dislikes / and favorite books? Mellissa: I’m a former ESL teacher and I stay home with my little ones and will be homeschooling them as they come of age. I like to read (of course), have never liked doing dishes, and the favorite books question always throws me! I can’t pick one, or even a handful! But definitely Christian Historical Romances. Me : What is your inspiration for A Bride For Keeps? Mellissa: I read a compilation of real mail-order bride stories and was astounded by all the crazy ways the arrangements didn’t work out, so I wanted to highlight some of those mail-order bride failures. Me: Who are your favorite authors, and why? Mellissa : Goodness, I love so many. I love Christian/Clean authors who write romance and characters well. Jane Austen, Jody Hedlund, Karen Witemeyer, Lori Wick, Francine Rivers, Abbie Gaines (her Christian Love Inspired Historicals), Deanne Gist are some off the top of my head. Me: What made you want to become a writer? Mellissa: Being bored changing, washing and folding diapers! I’d always had story ideas, but until I stayed home and got bored, I didn’t start writing. Me: What is important to you in hero and heroine? Mellissa: For the hero? I want a man who’s attracted to the heroine for the deep down qualities that she has along with finding her beautiful; and you believe he’d die for her. For the heroine? I want to be her: loved despite her flaws, but becoming a better woman. Me: What is your perspective on romance in a novel? Mellissa: Whenever someone complains about romance not having any place in Christian literature, I always wonder if they would say that about their own romance story? Most everyone loves to hear or tell the “how I met my spouse” story, there’s just something about us that gets satisfaction from hearing how people find the love of their life. Me: What do you hope that writers take away from your story? That trust can’t come until you open yourself up. Mellissa: What is your favorite scene from the book? Me: Can you give a sneak peak at special scene in the story ? Warming me at night, laughing with me, sitting under the stars and dreaming up names for our future children. I want you to live with me. How could he tell a woman so attractive, so distant, what he desired? Me: What can you dish as it relates to projects in the future? Mellissa: is the love story of Rachel and Dex’s oldest son, Will. Me: How would you describe your writing style? Melliss: Goodness, I don’t know. I try to make the romances emotionally intense. I like to throw little dry bits of humor and silly situations in my books—can’t be serious all the time! Me: How would you create your writing mood? Melissa : Um, I force it! I usually procrastinate and then eat way too much food while procrastinating then feel guilty for procrastinating and tell myself to get on with it…..totally not the romantic picture of a writer finding her muse now, is it? Ha. Me: What are you reading right now? Me: Was there any interesting research that you did for your book ? Mellissa: It’s no longer in the book, but I had to figure out how to collect down to make a feather tick and how much would be needed. Did you know that you pluck the birds while alive from their tooshies? I’d assumed you had to kill the animal, but you just slowly collect the feathers as they grow back. Poor ducks, always thinking “I feel a draft!” Or you could just buy feathers at the mercantile, but the other information was more fun. Me: What are five fun facts about you? 1)I spent a month in China helping students with their English, and so now I’m spoiled with authentic Chinese food, I don’t like American Chinese restaurants anymore, but I understand why they don’t serve authentic stuff—no American is going to be excited to see the heads of animals still on their entrees. 2)I like to stand on furniture for some odd reason. 3)I like to do Algebraic equations for fun. 4)I threw discus in high school. 5)I really hate talking on the phone. Me: What special words would you like to say to your readers? Mellissa: Thanks for giving a new author a try. And make sure you support your favorite authors with reviews, purchasing their books, and sharing about their stories so that they can continue writing books you love! I never knew how important readers doing more than just reading and enjoying a book can make or break an author’s career. So now, I work to get the word out for my favorite authors, I hope you’ll do the same! Sensible Kate ‘s heart is breaking as she watches her sister marry the man she has loved for year. Further complications ensue when she falls for the groom’s best friend against her better judgement . When one fateful night threatens to complicate her already difficult journey to love , will Kate and Jay discover that God has another purpose in mind . A special note : this beautiful love story had one issue of concern to me . The leading man in the story was not a believer . Even though he becomes a believer at the end of the story , he develops his relationship with Kate while he is unsaved . That raises some concerns because the Bible tells us not to become unequally yoked with unbelievers . Besides that the story is a lovely one that many readers will enjoy. 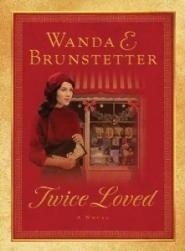 Hi there dear readers, I recently finished reading Twice Loved! This thoroughly heartwarming book tells the story of Dan and Bev, two people who have lost love ones and long for something more . Through tragedy and grief three things more beautiful are born: faith, hope , and most importantly love . This sweet and delightful little story of filled with all the ingredients of a good love story you will want to savor again and again. 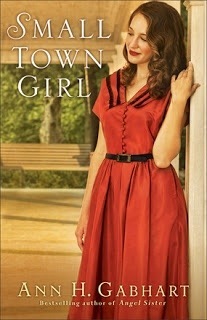 I would recommend this story for romantics and those who enjoy inspirational stories . When Joshua Sutton meets Honour Metcalf, his whole word changes and so does hers. 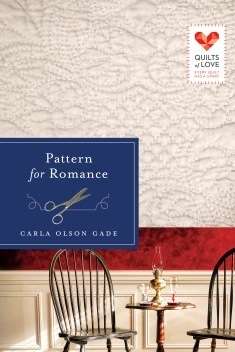 Through trials, heartache and misunderstanding, will the beauty and symbolism of a wedding quilt bring them together in ways they never dreamed possible ? This sweet and emotional story showcases the power and beauty of love and sacrifice and is sure to touch all who read . Dear readers, I am so excited to bring you …. 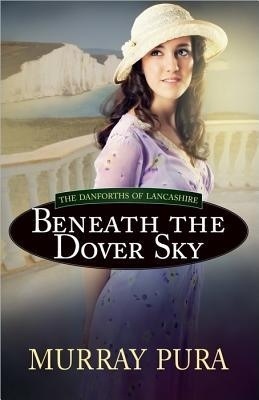 Drumroll please … The interview with Murray Pura on his latest on the Danforths of Lancaster . He gives us the inside scoop on the new book, plus juicy tidbits on what to expect from the characters lives in book 3. Me : Hi and welcome back! I would love to talk some about your newest book in the series on the Danforths . 1. What can readers expect from the second book in the series? 2. Me : How will the characters change and grow in light of the circumstances taking place in their lives? Murray : Life is always a mix of light and dark, blessings and curses, hard times and good times. Each character will have their share of both. How they handle it will depend upon their faith, maturity, and the level of support they receive from family and friends. 3. Me : How will you keep the romance alive between the already married couples in the story? Murray : Yes . There are sudden twists and turns that I don’t think the reader will expect. Pleasant surprises as well as shockers. One early reviewer actually mentioned that. 5. Me: How will this book be different from the first book in the series? 6. Me : What do you hope readers take away from this book? 7. Me : Will there be any new characters be introduced? 8. Me : What journey do you feel like you have taken with the characters, which hero and heroine do you feel like you have journeyed with the most? Murray: I was with Catherine a lot in this story as she tries to make a new life for herself and her son. And I was with Ben a lot as he has a hard journey to make. And also with Kipp and Christelle and Caroline, one of the hardest journeys of all. 9. Me : What can readers expect, looking ahead to the third book in the series? Me : It is a pleasure to talk with you about the world of Ashton Park! Review: Remember the Lilies by Liz Tolsma PLUS Giveaway!